My name is Sophie Ackoff, I have been an apprentice at Glynwood Farm. Like so many other beginning farmers today, I don’t come from a farming family and I have no land or agricultural skills to inherit from my parents. I believe that the government needs to support beginning farmers and shouldn’t short-change farmer training programs. Please act now to send that message to Congress. I grew up in suburban Southern California, a region historically filled with citrus groves that ultimately succumbed to pressure from developers. 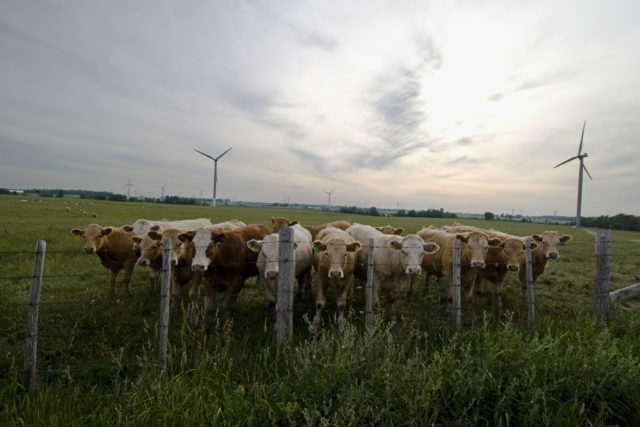 Our family vacations always involved driving past the confined beef and dairy operations of the Central Valley, and at a young age I became active in the fight against industrial farming. Still, I did not witness how broccoli and Brussels sprouts grew until I went to college. 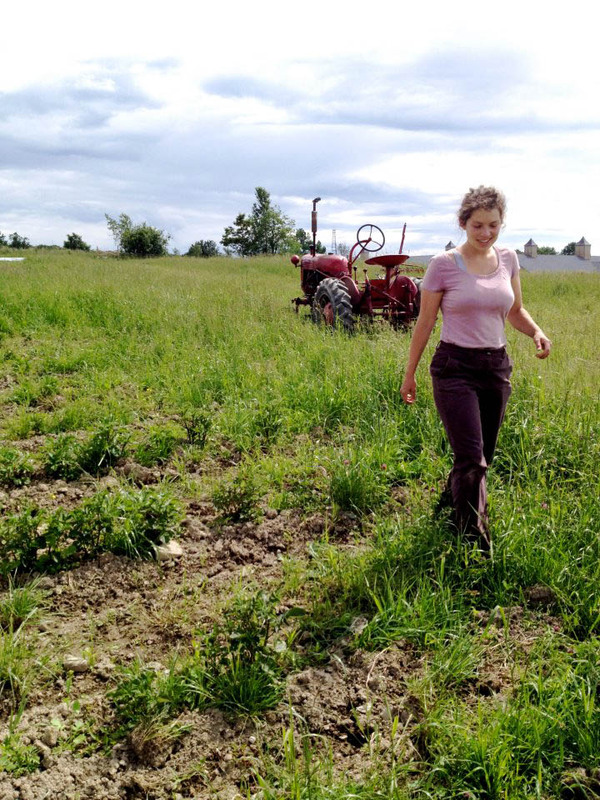 At Wesleyan University, I discovered my love of farming at the student-run organic farm, Long Lane. Despite having few academic opportunities in sustainable agriculture, an incredible number of Wesleyan students are starting to farm thanks to alternative training programs such as farm apprenticeships and incubators. Seeing several friends graduate and begin farming, I realized a career in the field was a feasible possibility for young, idealistic kids like me who are eager to transform our broken food system. I believe the BFRDP is a major reason why my friends and I are optimistic about having a future in farming. Tell Congress to support the BFRDP in the next Farm Bill today. In 2008, the federal government finally recognized the need to support beginning farmer training programs – that build future farmers like me – and provided $75 million in direct farm bill funding for the Beginning Farmer and Rancher Development Program (BFRDP). In just a few years, this program has helped launch pioneering farmer training programs across the country, such as Holistic Management International’s Beginning Women Farmers program, Land Stewardship Project’s Farm Beginnings, and the Latino Farmers Cooperative of Louisiana’s Farmer Incubator. The programs funded by the BFRDP are creating unique opportunities for young people who might not otherwise have had access to affordable farm training. For my first full-season apprenticeship, I chose the Glynwood Center because of the organization’s dedication to helping to train the next generation of farmers. Glynwood is a non-profit organization located in New York’s Hudson Valley, whose mission is to “save farming by strengthening farming communities and regional food systems.” We have a working farm in Cold Spring, NY that has a hundred-member CSA and a pasture-based livestock operation. After receiving a grant for a feasibility study from the BFRDP, the organization has now leased additional land to launch a farmer training program that expands our current apprenticeship program. In the Northeast, there are many first-year apprenticeship opportunities. Glynwood hopes to grow farmers by nurturing the business and management skills that complement on-farm, hands-on apprenticeships, from budgeting to navigating loans and leases. There is a real need for programs that cultivate those apprentices in subsequent seasons and help young farmers transition to management roles, so they can ultimately operate their own farm enterprise. Glynwood’s BFRDP-funded program will expand the number of apprentices they train each year, and include ample classroom time devoted to strengthening skills needed for the business side of farming. After a season or two, beginning farmers have a solid skill set but lack access to affordable farmland and capital, and could benefit from mentorship and equipment sharing. These are critical next steps. As of October 1st, the BFRDP has no renewed farm bill funding and the future of emerging, established, and new beginning farmer training programs is now in jeopardy. I am a young farmer, and an organizer for NYFC because I believe the entire country has a vital stake in the future of America’s young farmers. If the BFRDP’s future is uncertain, so is ours, and so is our nation’s food security. Tell Congress not to slash America’s agricultural future today.